From a creative team that includes the producer and writer of Forks Over Knives, the documentary film PlantPure Nation captures the inspiring story of plant-based nutrition’s impact on a small town in the rural South and the effort to bring about historic political change. 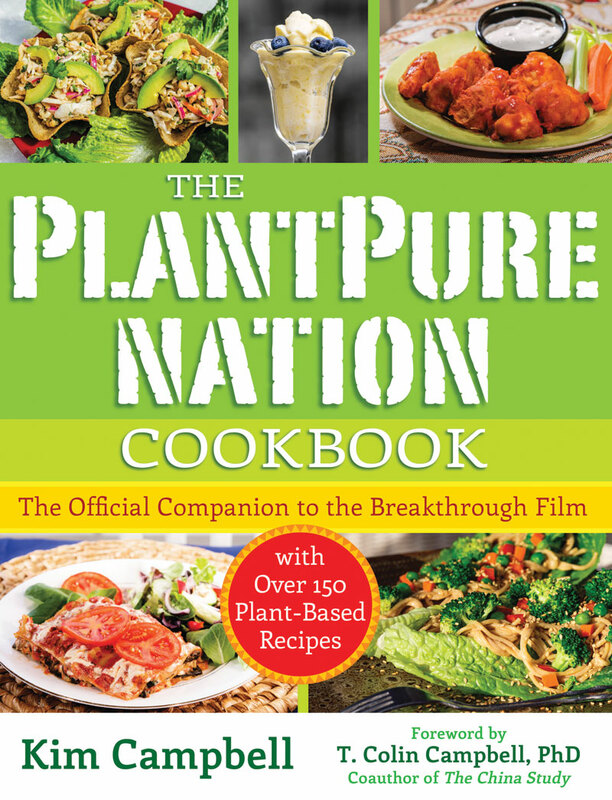 As the film’s official companion cookbook, The PlantPure Nation Cookbook brings this powerful, science-based approach to nutrition from the big screen to your kitchen with some of the same mouthwatering recipes that kick-started the revolution, promoting the health benefits of a whole food, plant-based diet. 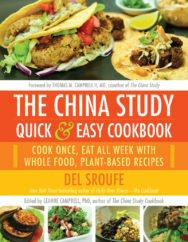 With a foreword by Dr. Campbell, The PlantPure Nation Cookbook is also filled with tips, tricks, and grocery lists for people interested in a whole food, plant-based diet. And with intimate background and behind-the-scene details from the PlantPure Nation film, this companion cookbook is a must-have for stimulating healthful eating in your home. Join the revolution to jumpstart your health! Kim Campbell is the daughter-in-law of Dr. T. Colin Campbell, considered by many as the “science father” of the rapidly growing plant-based nutrition movement. She works with her husband, Nelson, in a health and wellness business promoting a whole-food, plant-based diet. This experience has allowed her to hone her culinary skills, especially in understanding how to create flavors, textures, and presentations that appeal to mainstream consumers experiencing a plant-based diet for the first time. Kim holds a bachelor’s degree from Cornell University in Human Service Studies, with a minor in Nutrition and Child Development.